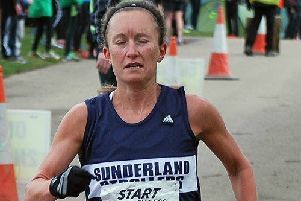 Sunderland City Council has moved to set the record straight over yesterday’s Echo article about the cancellation of Saturday’s North Eastern Road Relay Championships at Hetton Lyons Country Park, which included an inaccuracy. 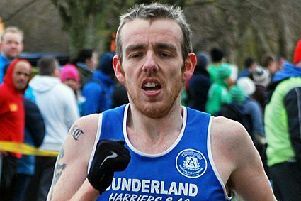 Athletics writer Kevin Carr reported that the council had asked a representative of hosts Houghton Harriers to sign a Licence to Occupy, placing unlimited liability on the signatory - which the club declined to sign. The article also blamed the cancellation on council “red tape” - which the council refutes. A council spokesperson stated: “The story claimed that Houghton Harriers had been asked to sign a licence which placed unlimited liability on the signatory. This is wrong. “The council has an obligation to ensure that where events are being held in public places, the organisers are prepared to accept responsibility should anything go wrong and have adequate insurance in place to cover any incidents. “This is covered by a standard licence which all event organisers are asked to sign. For this event UK Athletics (UKA), who have the insurance policy covering the event, were not prepared to enter into the licence, meaning an individual from the club would need to sign. “The council was willing to cap any liability to the level of cover provided by the UKA Road Race Permit as it did for last year’s event. “The club took the decision to postpone the event after receiving advice that none of their members should enter into a licence. “We (the City Council) welcome and encourage a wide range of events across the city. “The council requires event organisers to agree to our standard licence which ensures that proper and safe arrangements are in place including adequate indemnity and insurance arrangements. “This is common practice and no organisation has previously refused to agree to this. Examples include cycling events, fundraising walks, and community events as well as larger commercial events. “It is regrettable that the organisers for this event will not agree to the licence, however we will continue to work with the organisers to try to find a resolution which will allow it to go ahead later this year. The Echo understands that last year an individual club member did sign the licence, but after taking advice this year no club member was prepared to take on the liability. We accept we should have contacted the council to give their side of the argument in yesterday’s article.